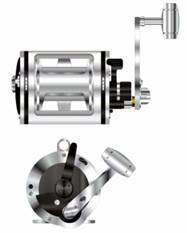 This new innovative reel is constructed of top quality materials and has all the features needed for the most proficient anglers. 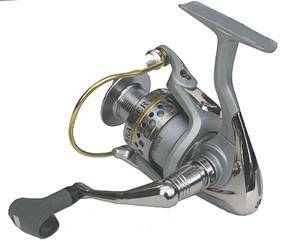 This new innovative reel has an aluminum body with lightweight magnesium rotor. 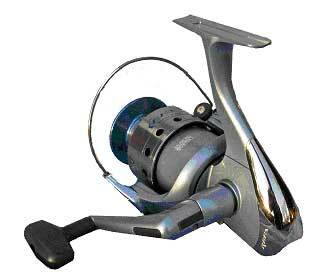 Deluxe ultra-light size 5 graphite reel. Micro in size but big on features! 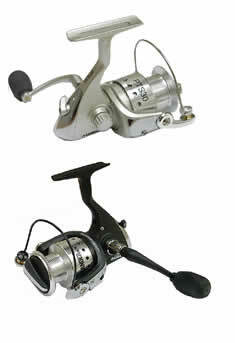 High performance premium micro reel ideal for ice fishing, panfishing and other ultralight fishing. 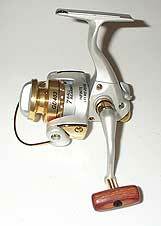 Superb ultralight reel that operates finer, smoother and easier than most advanced full-size spinning reels. Weighs less than 6 oz. 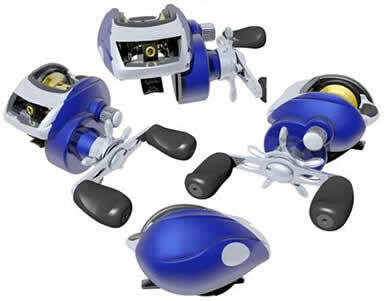 Introducing the Thunder Bay line of graphite spinning reels for the discriminating fisherman. 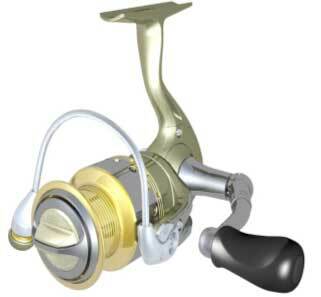 Premium Thunder Bay front drag spinning reels with water resistant slim body design at a value price. Available sizes 50 and 60. Computer balanced lightweight graphite rotor. 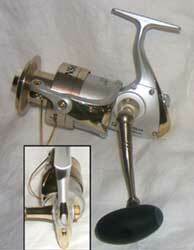 Top of the line Thunder Bay lever drag trolling reel. New deluxe all aluminum frame and side plates low profile baitcast reel. Line capacity 150 yds/12 lb. Easy open portable screen room is easy to set-up and takedown. Great for backyards, beaches or parks. 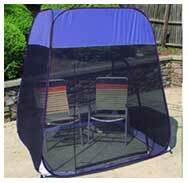 Mesh sides and waterproof covered roof provides a breezy shelter while blocking out sun and insects. Opened dimensions: 72" H x 72" W x 72" D.
Closed dimensions: 30" Dia x 2-3/4" W (10 lbs.). 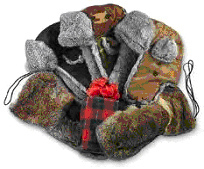 Great for ice fishermen, skiers, campers, sports spectators or anyone desiring warmth in cold weather. Available in variety of configurations including a 1-pr of Hand Warmers, 1-pr of Adhesive Toe Warmers, an Adhesive Body Warmer, a package of 3-pr of Hand Warmers, and 1-pr of Foot Warmers. All items packed in a colorful display box. 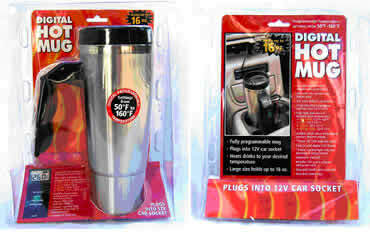 Each self-heating warmer provides 5 to 12 hours of warmth. Clean, odorless and nontoxic heat source. Superb collection of competitively priced fishing tackle customized to your specifications to meet any demanding ice fisherman's needs. Rods blanks made of solid fiberglass, composite graphite or solid graphite blanks, all sizes and actions, including fast tapers and spring tips. Handle made of premium cork or EVA, graphite rings or convential seats, chrome wire, aluminum oxide, SS rings or Titanium guides. 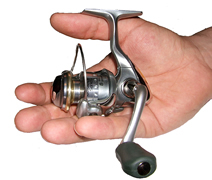 Micro size reels with front or rear drag, one-way clutch, multiple ball bearings, aluminum or graphite spools, foldaway one-touch or counterbalanced ambidextrous handles and a variety of other options. 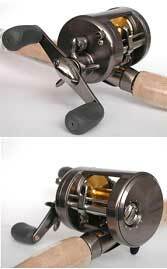 Combination rods and reels expertly matched. Packaged as you like with reels security strapped to the rods and over-the-guide hang tags for great merchandising. Great selection of ice fishing tip-ups catering to varying preferences of ice fisherman. All tip-ups feature adjustable trip shaft for multiple tension adjustments, a freeze-proof lube filled shaft for friction-free operation and blaze orange flag for high visibility. The new easy-to-use Buzz-R-Lite by Thunder Bay is a superb alarm for ice fishing tip-ups. The Buzz-R-Lite has the dual action of a bright red flashing LED plus an audible buzzer alarm. Now you don’t have to watch your tip-up because the Buzz-R-Lite will let you know when the fish is on! 3-way switch gives you the choice to use only the flashing light, the light and sound together or turn both off. 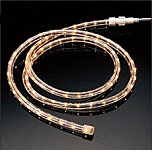 Thunder Bay rope light system is great for ice fishing shelters, camping tents, boats or anyone desiring a simple portable light source. Operates on 12V battery power source. Thunder Bay treads provide superb traction on snow and ice. 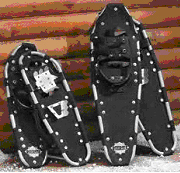 Designed to stretch and fit over shoes using cleats and coils for a solid grip on snow/ice-covered ground. High-floatation decking system that is snow-repelling, waterproof, lightweight and remains flexible in extreme cold. Optional aluminum 3-section telescopic poles, with carbon steel tips, removable powder baskets, comfort-grip rubber handles, adjustable nylon straps. 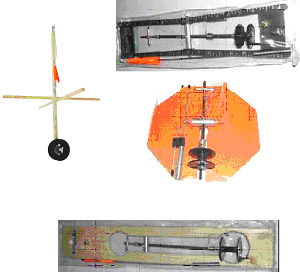 Poles extend from 25" to 55". Genuine rabbit fur keeps you warm and provides natural protection to wind and cold. These hats have a water resistant nylon shell and a quilted nylon lining. Hats are available in a variety of colors including blaze orange and camouflage. The hats feature earflaps and front visor flap can be worn down or snapped up, plus a fur-flap eyelet ear holes. Mittens have a fleece lining. Mitts feature extra-long forearms that fit over jacket sleeves and have a cinch cord with stop lock for snug fit. 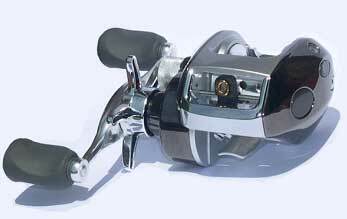 Superb collection of competitively priced fishing tackle customized to your specifications. Rods for fresh and saltwater, spin, cast or fly with glass or high-content graphite blanks, all sizes and actions to meet any fisherman's needs. 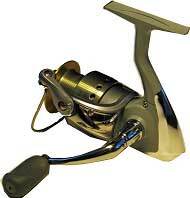 Reels with front or rear drag, one-way clutch, multiple ball bearings, aluminum or graphite spools, foldaway one-touch or counterbalanced ambidextrous handles and a variety of other options. 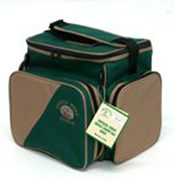 Soft tackle bags available in assorted styles and colors. Nonskid pads on bottom prevent sliding. Hard waterproof bottom also available. Aquawave™ wetsuits, rash guards, boards and accessories are great for all watersports -- surfing, boogie boarding, skim boarding, tubing, boating. Wetsuits & Rash Guards available in a full range of sizes from Youth through Adult and wide selection a features. Many styles: Farmer John, Shorty and Full, short & long sleeves. Wide selection of options including heavy duty zippers, internal keypocket, flatlock or blindstitch, protective zipper flap and others. Bodyboards, skimboards and surfboards in a variety of materials geared for beginners, intermediate or advanced users. 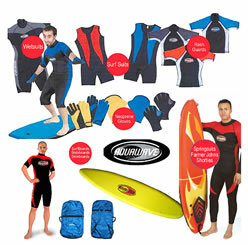 Many accessories including neoprene gloves, propulsion gloves, and board bags..